VANCOUVER, BRITISH COLUMBIA – Western Forest Products Inc. today announced that it has entered into a conditional agreement for the sale of its former Woodfibre Pulp Mill site for the purchase price of $25.5 million. The site, consisting of 212 acres of industrial waterfront land, is located at the head of Howe Sound, southwest of Squamish, British Columbia. Closing of the sale is subject to certain conditions, and Western will be responsible for satisfactorily remediating the property to applicable environmental standards prior to closing the sale. Letter from Blair Mayes, Dunkley Lumber Ltd.
We wanted to respond to Rick Berry’s letter of January 19 entitled “Forests being railroaded”. To our knowledge, at this time Dunkley is the only company operating a rail reload for logs in Mackenzie. As Rick points out, because there is a current surplus of timber in the Mackenzie area, we are able to access some of this surplus to provide supply for our mill south of Hixon and help maintain jobs for the 250 people who work for us. In the tug-of-war for coastal logs, Lower Mainland sawmills are increasingly losing out to overseas exports – and recent changes to log export rules will only intensify that trend, says the NDP’s forestry critic. …The TLA is largely supportive of the Liberals’ measures. TLA executive director Dwight Yochim said being able to factor the cost of transporting logs to Vancouver into the fair-market-value pricing formula will make a big difference to companies that harvest wood. NEW YORK — Shares of Plum Creek Timber Co. rose in after-hours trading Monday after the company’s fourth-quarter results topped Wall Street forecasts. Net income grew 30 percent in the fourth quarter. The company said its business is benefiting from the recovery in residential construction, as revenue increased at its timber, real estate, and manufacturing businesses. Profits improved at its southern division and the real estate business. Plum Creek shares rose $1.59, or 3.4 percent, to $48.90 in aftermarket trading. The stock closed unchanged at $47.31 in the regular session. It hit a four-year high of $48.26 on Friday. The bursting of the housing bubble plunged the economy into a recession from which it has yet to fully recover. But economists say this could finally be the year that housing lifts us out of the doldrums. Just over half of economists surveyed by CNNMoney identified a housing recovery as the primary driver of economic growth this year. The rest were split fairly evenly between consumer spending, increased domestic energy production and stimulus from the Federal Reserve as major growth drivers. …What brought folks to Montana in the mid-1800s was the promise of land, minerals and timber. The shortage of good white pine in the Great Lakes states led the logging industry to move west. …Just like in the early days of our statehood, agriculture, mining and timber still create new wealth, new opportunities and new challenges. It is now up to our state elected officials to realign priorities, solve challenges and provide opportunity for success. Montana’s timber industry is on the cusp of recovery. What happens in Helena over the next 90 days will be followed closely. Eighteen Asian softwood lumber buyers have signed on to attend the sixth Small Log Conference in Coeur d’Alene March 13-15. The presence of 15 Chinese and three South Korean lumber importers, most with annual sales of $20 to $75 million, offers a rare opportunity for softwood lumber producers to connect with overseas markets without traveling abroad. …Looking specifically for softwood species such as ponderosa pine, Douglas fir, western cedar and larch, the buyers hope to discover new products and producers from the Inland Northwest, according to Rawlings. For the British Columbian coast forest industry good government policy supports jobs, forest management, sustainability and industry competitiveness. 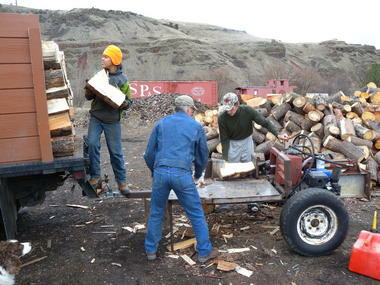 When policies balance harvesting, export activity and manufacturing, every log harvested for export allows for 2-3 more to be harvested for supply to domestic sawmills. In this way, good, balanced log export policy supports BC jobs. People outside of industry are always surprised when they learn this. It runs counter to the simple slogans we all hear. The industry is complex yet people still have the right to be informed about the policies which affect them. There is a special feeling that you get when walk through an ancient forest. You feel surrounded by something more ancient and mysterious than the oldest tree in the forest. There is something much deeper going on there—a hidden power simmering just beneath the surface. And in some weird way, you can’t help but feel that the forest is very much aware of your presence. The US Forest Service said the White Mountain National Forest in New Hampshire is being depicted on an America the Beautiful Quarter released recently by the US Mint. The coin depicts Mount Chocorua framed by birch trees. The nearly 3,500-foot peak, surrounded by lakes and forest, is a favorite of hikers. Crater Lake, and the wild country that surrounds it, are the crown jewels of Oregon’s public lands. … These lands are the engine which drives Southern Oregon’s tourism and recreation economy, and this is why Oregon Wild believes any plan to log the lands surrounding Crater Lake National Park need to be held to the highest possible standard. 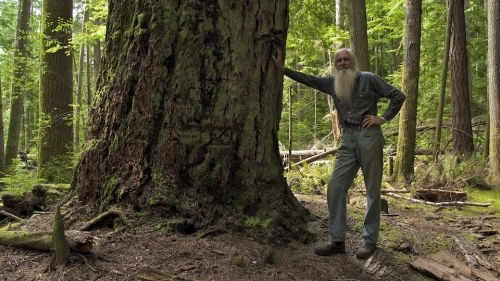 An objection to Crater Lake-area logging doesn’t mean we oppose all logging. In fact, we have worked with the Forest Service in the Siuslaw, Deschutes and Malheur National Forests to develop projects which conservationists support. Wallowa County residents worry that possible road closures in the Wallowa-Whitman National Forest will impair their ability to gather firewood. …We believe the Forest Service should accommodate legitimate local needs, but do so with new strategies that protect the forest and reduce the need for damaging roads. New strategies should include the establishment of managed firewood collection zones and the preservation of large standing dead trees. Current regulations are not up to the task. They allow firewood gatherers to drive off roads, deep into the forest, to remove firewood. ONSLOW COUNTY, NC – Danny Shaw says the Hofmann Forest is the crown jewel of the forestry program at North Carolina State University. Now, the university’s College of Natural Resources is trying to put the forest up for sale. The college’s dean, Mary Watzin, says this sale could provide a steadier, and higher income for the college, proving more opportunities for education in the forestry field of study –opportunities like increased scholarship support and funding for research. 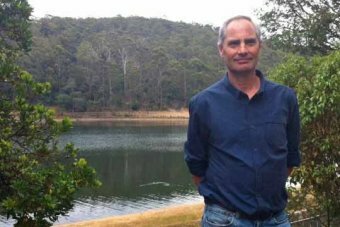 A Tasmanian who divided public opinion on environmental issues has been awarded the state’s top Australia Day honour. Geoff Law has been at the frontline of many of Tasmania’s environmental battles for the past three decades, including the Franklin Dam campaign of the early 1980s. The 54 year old activist is now a member of the Order of Australia. SYDNEY — Cape Breton Explorations Ltd. will break ground this summer to build a $36-million biomass plant at Harbourside Commercial Park. …The biomass plant will use a gasification process to create up to 50,000 kilowatt hours of electricity per year, fertilizer as an end product and methane gas for use in vehicles. …Using the process of pyrolysis, wood products from local producers will be used to create synthesized gas in one unit. Methane gas will be created from agricultural leftovers and green bin waste in another unit.